As winter takes hold in all its glistening and finger numbing splendour it will form a shiny and slippery coating on landscaping materials like concrete and asphalt in your garden and driveway. This means that it becomes an inevitably that each morning the journey to work, school, even to the car or garden shed, becomes treacherous as smooth surfaces become sheets of ice upon which it is far too easy for us to slip and stumble on. One way to protect yourself from wintery accidents is to have a landscaping material on your path and/or driveway which should help you get from the door without showing your neighbours your unique version of Torvill and Dean’s Bolero. Stone and gravel products hold the key because their sizes, shapes and textures mean that ice and frost cannot create sheets over them and although they may become snow covered, beneath the snow is a material that allows grip and purchase that lends itself to easier movement and therefore confidence. Stone and gravel takes minutes to install but it will give months, years, of pleasure quite apart from its functionality. 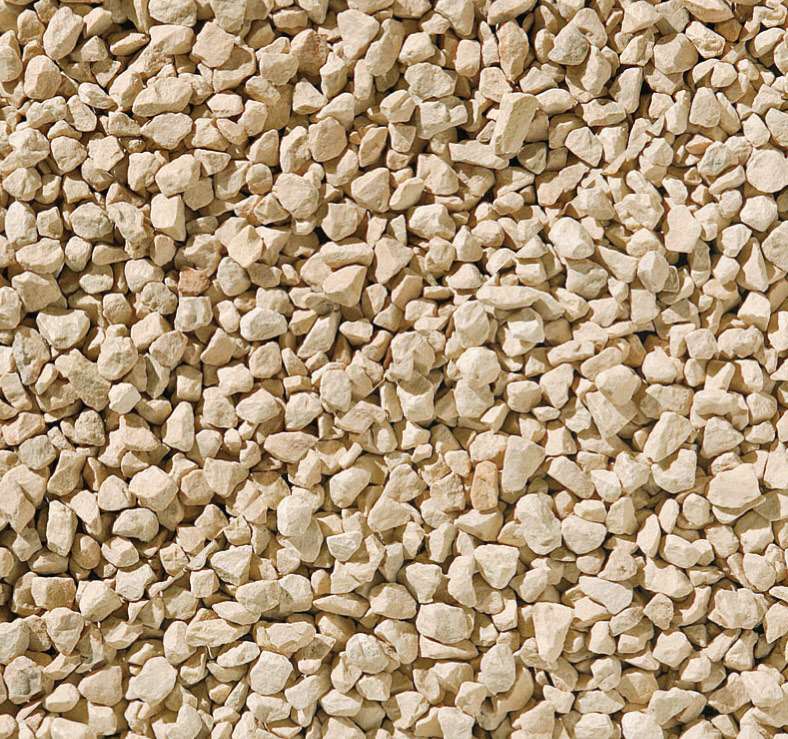 Gravel has personality, durability and beauty to enhance its appeal. Expert gravel suppliers like Rivar Sand and Gravel in Hampshire, Berkshire and Surrey normally stock supplies of 10mm and 20mm stone and gravel products but there are other sizes. For instance, 14mm and 18mm in certain gravels and chippings can be specially ordered. These often carry a lead time of 7-10 days. 10mm and 20mm stone and gravel ranges are cost effective, require minimal maintenance and offer aesthetically pleasing results plus a surface which footwear can find invaluable purchase on. As guidance for quantities, one tonne of stone and gravel covers an area of approximately twelve metres squared when it’s laid 1.5 to 2 inches deep. An occasional top up may be required with slightly more crumbling stone and gravel under the weight of heavy traffic. If you are based in the south of England there are local gravels like Cotswold Chippings, South Cerney Gravel and Moonstone Gravel to enjoy. These are quarried within the Thames Valley, the Cotswolds and Gloucestershire and they will enhance the natural feel of your space. Moonstone Gravel is Thames Valley Flint in 10mm or 20mm black, white, brown and beige stones. Highly attractive and functional this gravel product will serve you well for years. The 10mm contains less brown and will offer a smoother finish so you may prefer the 20mm to maximise the non-slip potential. Cotswold Chippings are charming in winter safety maximising angular chips. They are versatile and lend themselves to paths, driveways and you can use them as mulch over pots and in the garden if you want to extend the Cotswold Chippings usage. Gravel suppliers stock this in 20mm for immediate project starts. 14mm Cotswold Chippings are a special order with many professional suppliers. Aim to keep your feet secure this winter. Talk to a stone and gravel expert. Next article How siding is beneficial for your house?